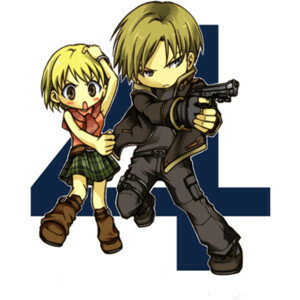 Resident Evil 4 Chibi!!!!!. . Wallpaper and background images in the Leon Kennedy club tagged: resident evil 4. Ha ha thats really funny! Thumbs up! ha ha this is so funny look at Ashleys face. This is cute, but I wonder what Ashley is blushing about.